I’m a little pasty as of late. I will admit that. The winter leaves me looking… sickly. 🙂 I feel so much better with a little color on my cheeks. We’ve turned a page as a society and have moved away from the tanning bed and towards the bronzer. I wanted to show you 8 different options to score that healthy glow. It’s no longer just about powder. There are so many different options to score that fake winter glow. 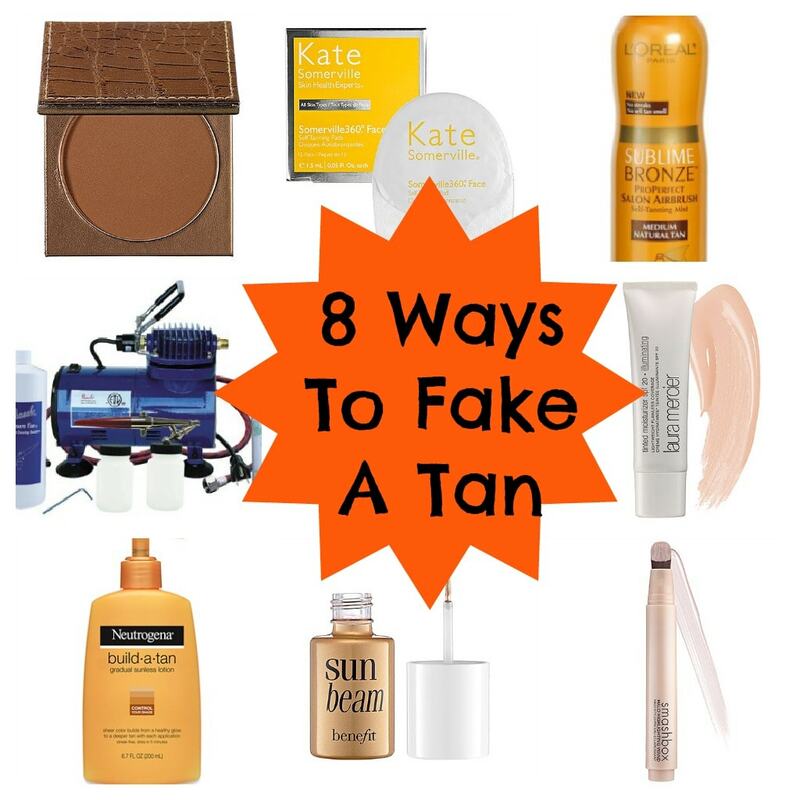 What do you think about these different products to fake a tan? Have you used many of them? I am obsessed with tinted moisturizer. It’s a great way to build up a base. DYING to try the at-home tanning machine. LOL can you imagine! !